You can create a special table for the manufacture of new sets of cool unique armor! With these sets you will to find great new capabilities that will really help you in some aspects of the game! 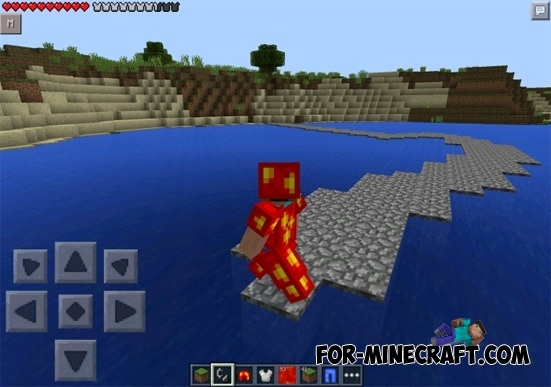 Water Armor will allow you to breathe underwater, and when you step on the lava, the lava will turn into blocks of cobblestone. 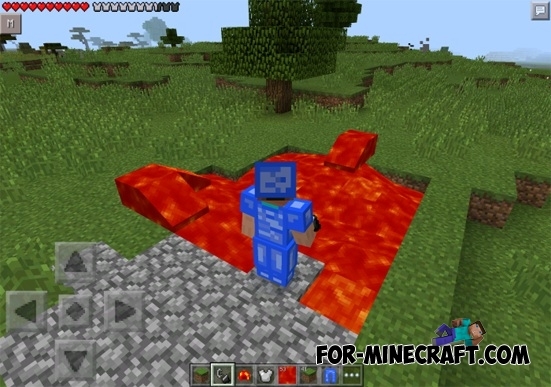 Lava armor will allow you to walk on lava, besides you are resistant to fire and lava. NEXHACK v2.4.7 for Minecraft PE 0.10.5Cheat will be useful for both single and multiplayer game modes.